New York State Licensed Home Inspectors that inform you and report on the readily accessible and observed condition of the property you'd like to purchase or sell. New York State Certified General Real Estate Appraiser. FHA Appraiser. 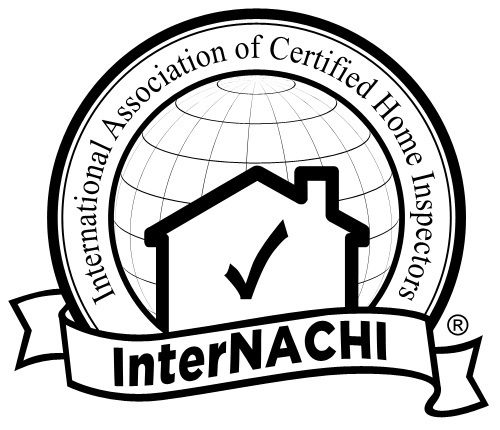 Member of the International Association of Certified Home Inspectors, InterNACHI. We visually inspect and report on properties that are of interest to you for purchasing or selling. This allows Buyers to make informed decisions about their purchase. BE INFORMED - KNOW WHAT YOU ARE BUYING OR SELLING. Our home inspection reports describe the observed condition and type of roofing materials and describe the methods used to inspect the roofing. f. Drainage sumps, sump pumps, ejector pumps and related piping. g. A representative number of ground fault circuit interrupters. b. Describe energy sources, cooling systems and distribution systems. e. Where visible and readily accessible, inspect and describe the bath and/or kitchen vent fan ducting to determine if it exhausts to the exterior of the residential building. d. Describe the absence of insulation in accessible unfinished spaces at conditioned surfaces. Call now to schedule appointment; its Fast & Easy! Call to Inquire about what we can do for YOU! Copyright 2011 Fast Home Inspections, Inc. All rights reserved.